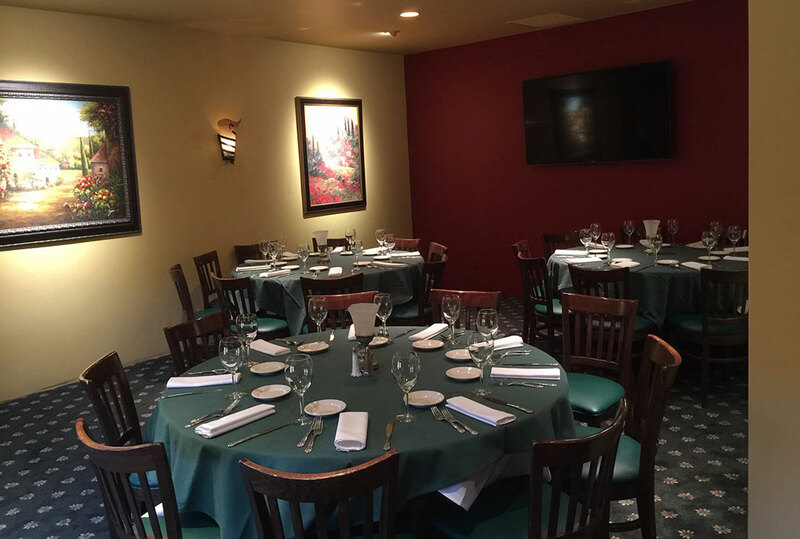 The Beautiful Castelli's Banquet Room. Book your next event in our new VIP dining room on 2nd floor. 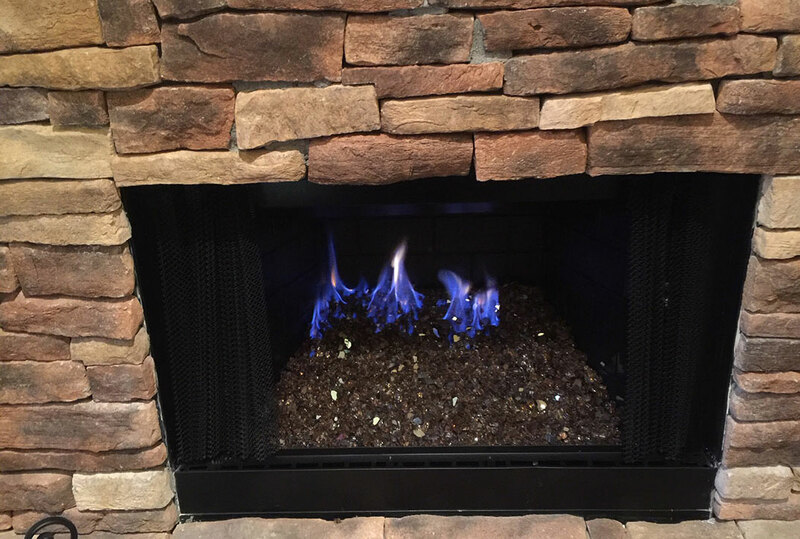 Your own private oasis, featuring 65" TV, balcony, fireplace & restroom. Holiday parties, client appreciation, presentations, sporting events, birthdays, anniversaries. Served with fresh vegetables or pasta marinara. Served with coffee, tea or non-alcoholic beverage. $25.00 per person, excluding 7.75% tax and 22% gratuity. Alcohol will be billed upon consumption. All fresh seafood subject to seasonal change. $29.00 per person excluding 7.75% tax and 22% gratuity. $36.00 per person excluding 7.75% tax and 22% gratuity. Crisp romaine lettuce tossed with our homemade, zesty dressing, topped with imported Romano cheese, served with garlic bread. Oven broiled, served with a light sauce of white wine, lemon, fresh garlic, pimentos, green onions and basil. Boneless breast of chicken, charbroiled, prepared with a sauce of Dijon mustard, fresh garlic, fresh mushrooms, white wine and a touch of the chef's special secret spices. Fresh, thinly sliced veal sautéed in a light sauce of extra virgin olive oil, fresh lemon, white wine, capers and fresh mushrooms. Center cut chop, marinated all day in fresh herbs and seasonings, charbroiled to perfection and served with a sherry wine glaze and fresh baked apples. Entrées served with fresh vegetables. Served with coffee, tea or beverage. Price excludes 7.75% sales tax and 22% gratuity. Beef stuffed pasta in a Romano cream sauce with mushrooms,Proscuitto, peas and freshly grated parmagiana. Oven broiled, served with a light sauce of white wine, lemon butter and capers. 9oz. prime filet mignon, charbroiled to perfection. Topped with a sauce of imported Marsala wine & mushrooms. On-bone veal shank, braised all day and served on a bed of mushroom risotto, topped with veal demi-glaze, fresh onion, celery & carrots. Sliced fresh Roma tomatoes, topped with fresh Buffalo Mozzarella, finished in a light extra virgin olive oil, balsamic vinegar and fresh basil. Oven broiled, served with a light sauce of white wine, lemon, garlic, pimentos, green onions and basil. Crisp romaine lettuce tossed with our homemade, zesty dressing, topped with imported Romano cheese. On bone veal shank braised all day, served on a bed of mushroom risotto with veal demi glaze, fresh celery, carrots and onion. A delicate combination of tender baby squid, bay scallops, shrimp, baby lobster, tossed with fennel, green onions, basil, white wine, lemon, garlic, extra virgin olive oil and capers. Served chilled. Sliced Roma tomatoes, and sliced Buffalo Mozzarella. Sprinkled with light extra virgin olive oil, balsamic vinagar and basil. Center cut chop, marinated all day in fresh herbs and seasonings, charbroiled and served with a sherry wine glaze and fresh baked apples. Baby rack of lamb, marinated and charbroiled in a sauce of sherry wine, green onions, garlic, lemon, basil, mushrooms and rosemary. Served on a bed of Risotto. 9oz prime filet mignon, charbroiled to perfection. Topped with a sauce of imported marsala wine & mushrooms. Entrées served with fresh vegetables or fettuccine Alfredo. Served with biscotti, cappuccino, or your choice of non-alcoholic beverage. Full service catering available upon request with Chef Victor. 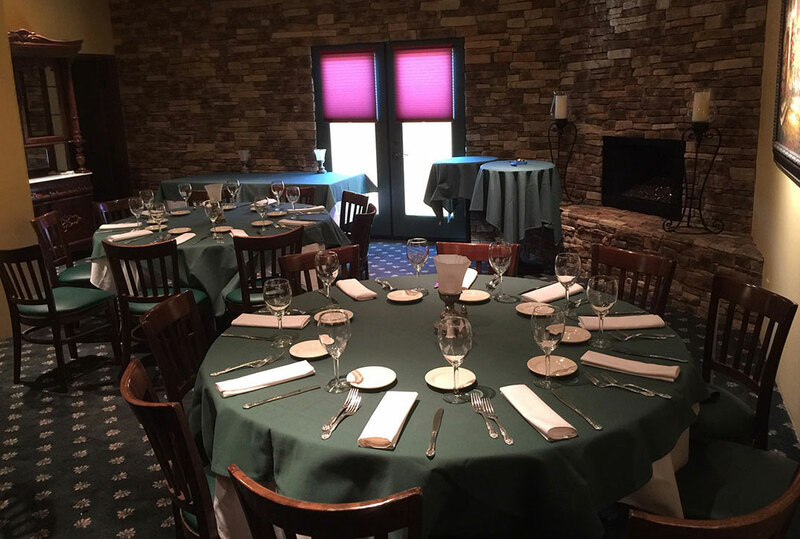 Castelli's would love to host your next event. Please fill out and submit the form below, and Linda will contact you shortly. Please submit at least one method of contact, either by phone or e-mail.